Landsec has launched a Refill Me campaign, uniting 92 brands in the fight to decrease the amount of single-use plastic waste generated at its retail destinations. It is estimated that UK adults use 7.7 billion single-use water bottles each year. This campaign aims to help cut this number by reducing the amount of single-use plastic bottles used at Landsec’s retail destinations. This will be done by encouraging retailers to take part in an initiative which will see them offer free refills to customers using their own bottles. So far 149 individual stores have signed up from 92 brands including branches of Caffé Nero, Costa, Lush, McDonald’s and Pret A Manger. Landsec aims to roll out the scheme across its entire portfolio of shopping centres, outlet malls and leisure parks by 2020. 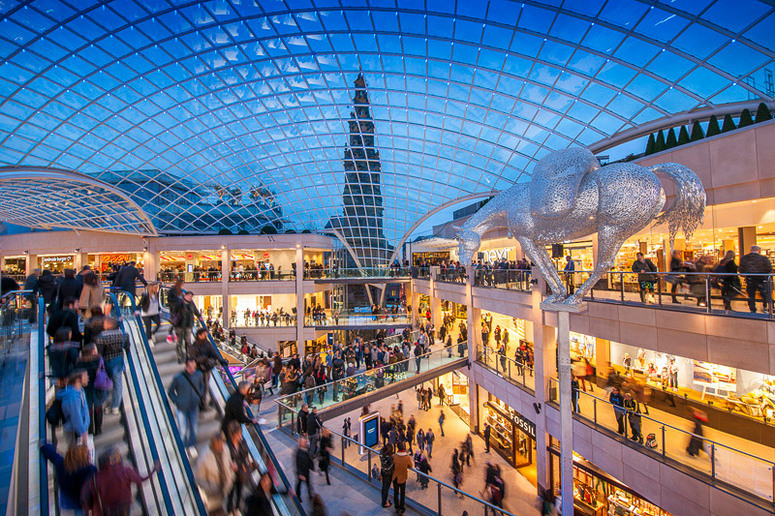 The Refill Me campaign went live on 1 August, initially across 12 of Landsec’s shopping destinations including Bluewater, Trinity Leeds, Gunwharf Quays and Westgate Oxford. Research commissioned by Landsec found consumer attitudes towards refillable bottles could be a significant barrier to reducing the prevalence of single-use plastics. Landsec’s research found that 59% of shoppers would feel uncomfortable asking a retailer to refill their water bottle without first making a purchase. The Refill Me campaign helps tackle this barrier as consumers are under no obligation to purchase any products from retailers who have pledged to support the initiative. Participating retailers will display stickers to indicate to shoppers that they are a free refill point. The research also found that while 59% of shoppers do not currently carry a refillable bottle with them, half of all respondents would begin carrying one more often if they knew where they could refill it. Landsec’s research also offers revealing information on consumer attitudes around single-use plastics. 27% of respondents felt that decreasing the amount of single-use plastics in the UK is the responsibility of Government and local authorities. Only 21% felt that it was the responsibility of businesses, while over 34% believe that the responsibility lies with individuals. Tom Byrne, Sustainability Manager at Landsec, commented: “At Landsec, we take our environmental responsibilities very seriously. When we discovered that 59% of people felt uncomfortable asking for a water refill without first making a purchase when out shopping, we were determined to help make it easier for shoppers to embrace sustainable practices. Wherever customers see our window sticker, they can ask for their bottle to be refilled without feeling pressured to make a purchase or embarrassed to ask. We’re committed to rolling this scheme out right across our 17.6 million sq ft portfolio by 2020.